As we observe the arena in which eGrocers battle for customer engagement and loyalty, it’s clear that the giants have an upper-hand when it comes to resources alone. More space to hold inventory, bigger bank accounts to support automation, and flashier campaigns to drive the message of lower pricing, better sales, and cheaper shipping. Though the competition is fierce the independents haven’t been deterred from stepping onto the field to play. Grocers like Caputo’s, with niche audiences, local offerings, and speciality products serve a market segment that is unlikely to be interested in mainstream materials. By staying in their lane they have secured their space. Berkot’s, Woodman’s, and Greer’s have taken similar stances to solidify their standing. But what about the middle segment of retailers - department stores and larger grocery chains? How do they compete with the likes of Amazon, who boasts a list of 564 million products, and Walmart, who aspire to offer their customers a complete one-stop-shop? Without an infrastructure akin to the behemoth brands, and limited shelf space for stocking products, the ability to offer an assortment of such magnitude was simply impossible until now. The solution, known as endless aisles, is fundamentally the Marketplace concept that Amazon first introduced. Retailers can expand their online assortment without additional carrying costs by partnering with third-party providers who drop-ship items directly to the customer. Shoppers never leave the retailer site, and the supplier is virtually invisible to them. Furthermore, the endless aisles concept can be used in-store to off set out-of-stocks and offer a broader set of products beyond the limitations of shelf space. The challenge all players face is to design the best omnichannel strategy for a seamless customer experience. For traditional brick-and-mortar this means two things: integrating technology in-store, and utilizing AI to generate a highly personalized eCommerce experience that simulates their in-store customer service. With such a small reaction window, retailers must respond with convenient solutions to capitalize on shoppers already being within their walls. In 2017, two Walmart Supercenters in Texas piloted in-store kiosks offering access to an extended selection of online-only items in almost 100 categories, which were available for in-store pick-up 48 hours laters. Two years later, 50 locations boast this solution, and kiosks have evolved to allow customers to shop all products, pay how they want, and ship it direct to store or their home. In their Belgium concept store, Ahold Delhaize is also experimenting with in-store kiosks. 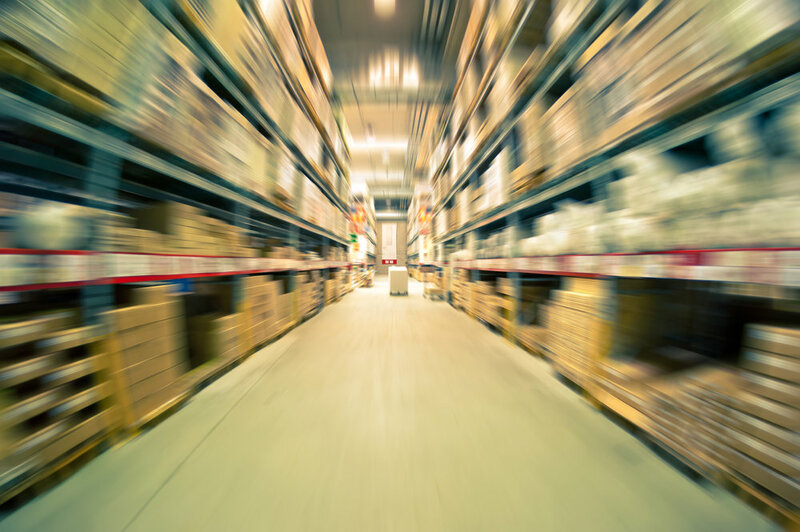 By intentionally building warehouses for slower moving products Ahold is able to leverage the power of digital to offer items not carried in-store. Without the boundaries of a physical storefront, retailers must keep shoppers from opening a tab and taking their business elsewhere in a matter of seconds. Did you just discover your dog has fleas? Have you run out of your salon specific hair styling gel? Are you contemplating making another stop or click for that extra special vegan, non-gmo, organic paleo protein powder that’s only available from your local co-op? What if you could manage all those needs in one location? What if one retailer could provide such a robust catalog? Last year Alberston’s launched its Digital Marketplace, separate from their eGrocery experience, hoping to secure more business by providing customers with an additional 100,000 specialty products. Jon Fahrner, head of Marketplace, said “the goal is to allow our millions of shoppers to get anything they want any way they prefer, and to have it show up as quickly as possible.” Just last month Target announced their launch of Target +, an invite-only marketplace whose products will be offered alongside Target.com inventory. In an era driven by the demand for options and speed, endless aisles offers a solution that is infinitely scalable and logistically efficient. Retailers can drive higher basket size without incurring overhead costs for slower moving products. They can add value to their brand by partnering with like-minded small and/or local businesses, as well as CPG brands that fall outside of their normal commerce categories. Retailers can even opt into ‘group buying platforms,’ which aggregate sector-specific content and products in a back-end only form of endless aisles. The alcohol industry has even followed suit. Interested in learning more? We happen to know a lot about this topic! Check out locai’s endless aisles solution and inquire about a demo today.